If you’re feeling lucky, then place your bets at a horse race! 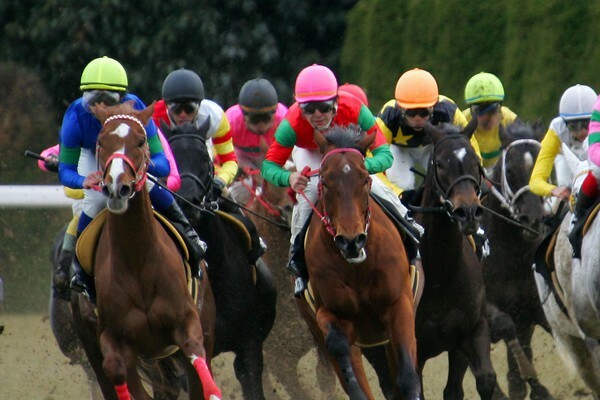 If you are the betting type, then try your luck at a horse race! You may not know this, but horse racing is actually popular among many Japanese people. Many Japanese people check the horse racing stats everyday! In Japan, there are more than 21,000 horse races a year and there are three types: turf racing, jump racing (courses with hurdles), and Banei Racing (also called Draft Racing). There are two horse administration; the Japan Racing Association (JRA), also known as Chuo Keiba (National Racing), and the National Association of Racing (NAR), also known as Chiho Keiba (Regional Racing). 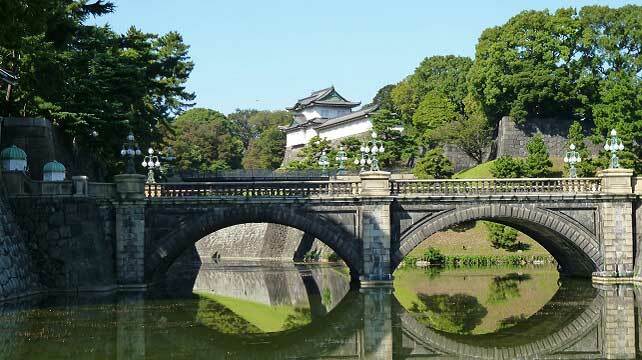 So, if you are thinking of spending several days in Tokyo, why not place a bet at the track? 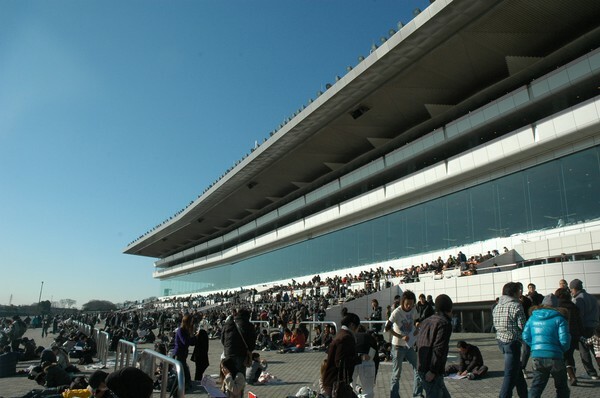 JRA manages ten major racing tracks. 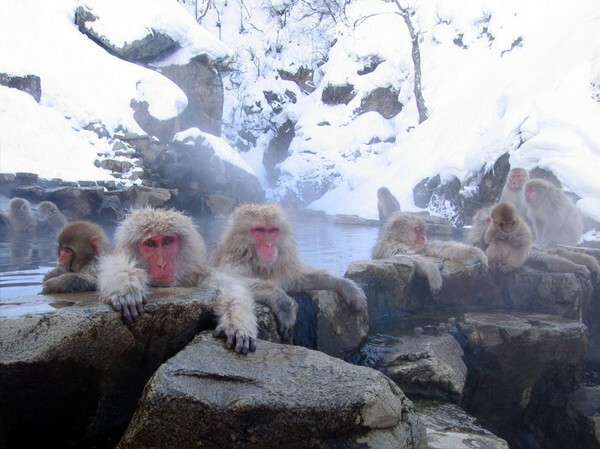 "Chuo Keiba" is one of the richest administrations in the world. Japan's top stakes races run in the spring, autumn, and winter. One of the country's most prominent race is the Grade 1 Japan Cup, a 2,400 meter (about 1½ mile) invitational turf race which runs every November at Tokyo Racecourse with winnings that amount to about ¥476 million (about US$5.6 million) and is currently the richest turf race in the world. 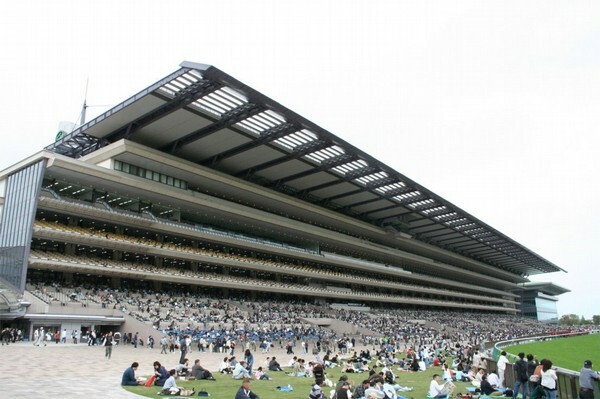 Japan's top jumping course races is the Nakayama Grand Jump which runs every April at Nakayama Racecourse. Instead of running over a large course as is the case in other countries, the 4,250 meter (about 2⅝ mile) course at Nakayama Grand Jump follows a twisted path on the inside portion of Nakayama's racing ovals. The race's winnings amounts to about ¥142.5 million (about US$1.68 million). But in Japan, jumping course races is generally less popular than turf ones. Every Japanese jump horses has experience running in a turf race. 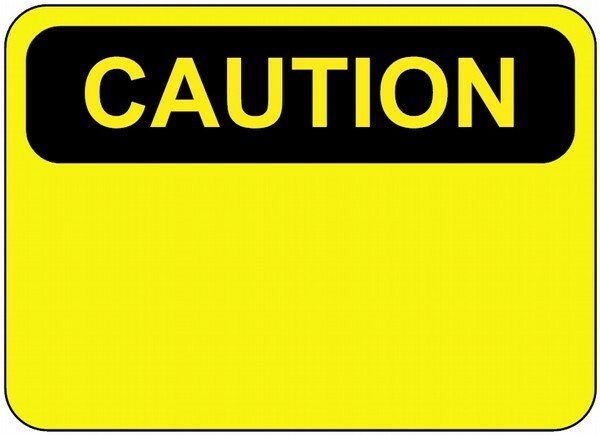 Usually, all horses are trained to run in turf races. However, When they retire from turf racing for whatever reason, they are then trained to compete in jumping course. In Japan, there are few horses bred only for jumping courses. 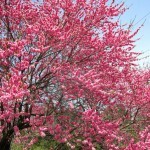 15 min walk from Funabashi Houten Station on JR Musashino Line. Saturday and Sunday please check the schedule on the web. Asahi Hai Futurity Stakes Dec.
Arima Kinen (Nakayama Grand Prix) Dec.
Yushun Himba (Japan Oaks) May. Tokyo Yushun (Japanese Derby) May. /Jun. Tenno Sho (Autumn) Oct./ Nov.
Fifteen tracks are operated by municipal racing authorities and run under the affiliation of the National Association of Racing (NAR). Their scale is relatively smaller than JRA except the minami-kanto keiba (a group of four tracks - Oi, Urawa, Funabashi and Kawasaki; all located in Kanto area). Unlike JRA, NAR mainly organizes dirt graded events which JRA has few of, and they also organize the International Grade 1 Tokyo Daishoten Race, and numbers of Domestic Grade 1 events like Teio Sho, Kashiwa Kinen and Japan Breeder's Cup series. 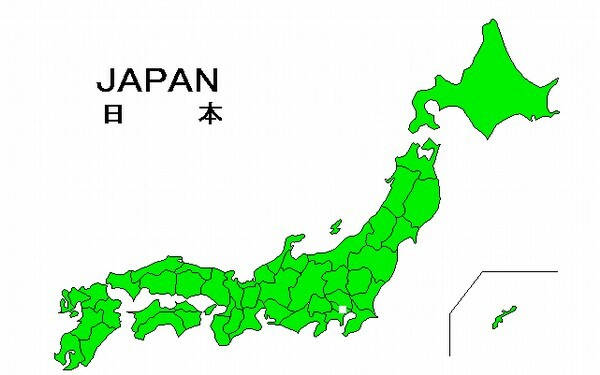 Though JRA are considered to be more popular and competitive, sometimes NAR does represent Japan in races outside of Japan instead of the JRA. Horses that belong to JRA cannot participate in NAR events and vice versa applies to NAR, but the NAR can participate the JRA Grade 1 turf events by either becoming qualified in respective step races or winning a Dirt/International Grade 1 event. Horse transfers between JRA/NAR are possible. Between end of March to end of December. 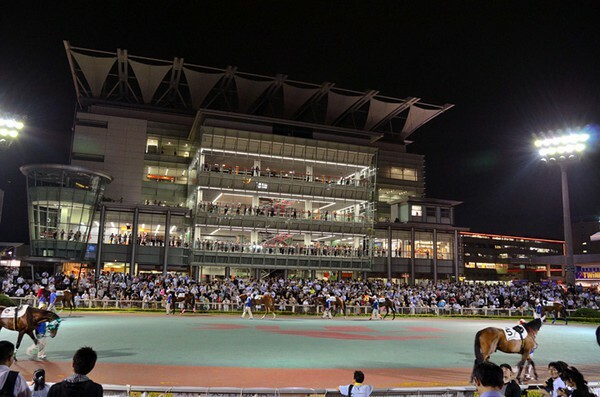 At the Oi Racecourse they have a night race called “Twinkle Race”. 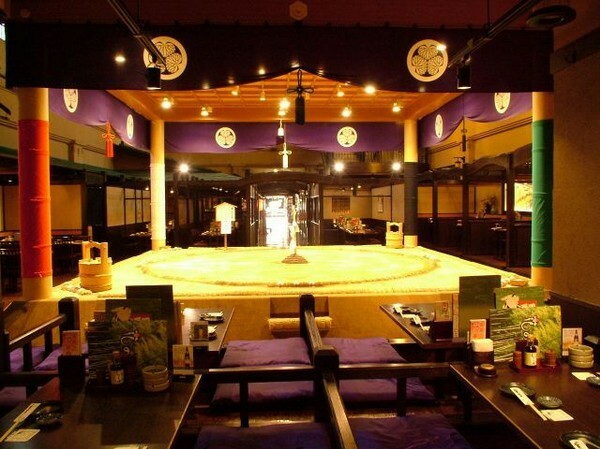 It is great location and has quite a view; a perfect spot for a romantic date. Tokyo Marathon 2014 - "The Day We Unite"
Goodbye Winter, Hello Spring! 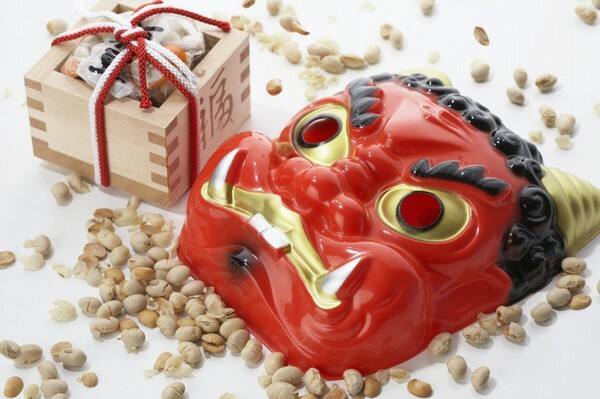 It’s Setsubun!